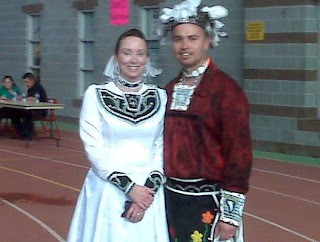 We did a short Dance Performance at the Dunnville Christian School yesterday for their Heritage Fair. Well it was more of a demonstration of several dances than a show. It went really well and we had a good time. There was a student participant of the fair who did her project on Aboriginal Culture. This girl had Indian cookies and strawberry juice at her booth and if I was a judge that would have made her the winner in my book. I love Indian cookies. One of the kids asked me once a couple of years ago why they are called Indian cookies, what was in them that made them different? You know, I don't know the ingredients are pretty standard to other cookies as well so I guess it's because Indian people make them. lol. Now I understand you are probably right this second asking yourself "did she just call Native Canadians, Indians?" Well yes I did. I have never been the most politically correct person around and to be honest with you I don't find the term "Indian" offensive. If others do I respect that and I try to keep in mind that words do have power. I don't really read magazines anymore as I have become more of a blog reader and one of my pet peeves is a blog with either blurry photos or worse yet no photos at all. So I am going to save my pennies and buy a better camera because I am not enjoying the quality of photos I am taking anymore. 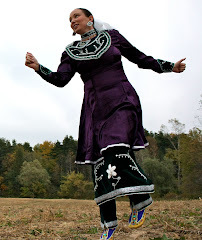 We had a bit of a problem on our return from The Gathering of Nations powwow so we had to postpone two dance workshops that were to be done at a high school on Monday. We will be doing them on Friday so I have a couple of days to prepare for that. I will need the time because I have come down with a wicked cold and I hope I am better able to perform by friday. I am looking forward to this because I really enjoy doing dance workshops, It's so fun to watch the participants getting to be creative. We have finally arrived home from the powwow wind and sunburnt and happy. We did some good visiting, and even better shopping picking up two roaches. I recommend "Roaches by Camille" she does good work and she's fast. I honestly believe this powwow has no business trying to squeeze itself into 2 days. I appreciate the sentiment of 'get in and getter done' and all but it would be nice to dance to something other than straight songs all weekend. I understand why that must be. The drum contest and all. I also could not understand why if there was a whole football field to use, we still ended up dancing on a postage stamp. That truly did not make any sense to me. Also there was absolutely no view of the tiny tots and jr dancers from the side where I was sitting so you were at the mercy of the camera crew filming for the jumbotron to get a view of your kid as they were pretty merciless about who got to go onto the floor and watch. I did like that things moved along quickly and kept very close to schedule. I was also super proud that the new Miss Indian World Dakota Brant is from my Reserve. We have had 2 in the last five years so that is very exciting. All in all I enjoyed the powwow but I much prefer it indoors. I can't complain about the weather but I will complain about the total lack of view of the dance floor. 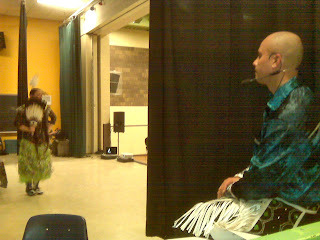 I think that is what made GON such a good powwow to be a spectator at is that there was never a bad seat in the Pit. 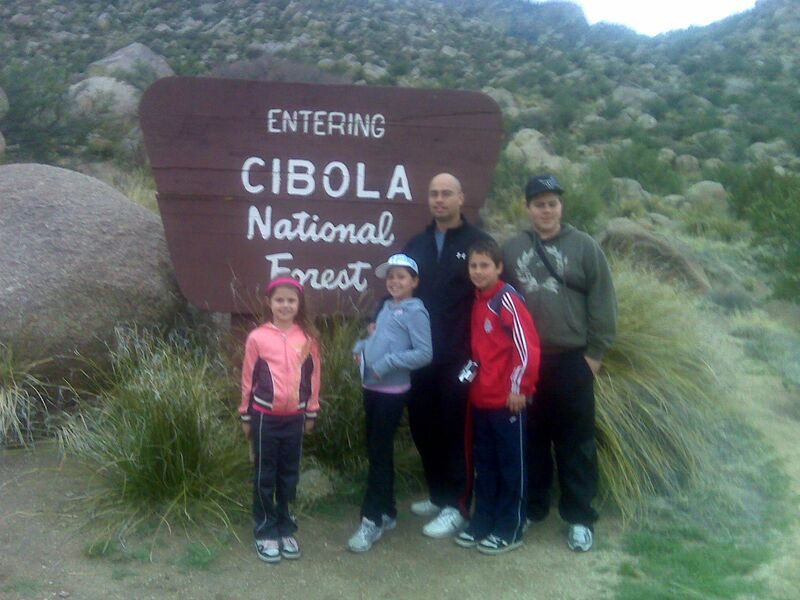 Our vacation was fantastic and we all really enjoyed it and I hope that we are able to return next year and I truly hope it is indoors. Now that our trip is sadly behind us, it is time to get back to work as we have a lot of native dance shows and dance workshops coming up. Another full day of sightseeing. We went to bandolier national monument in the morning. It rained a bit but was otherwise beautiful. 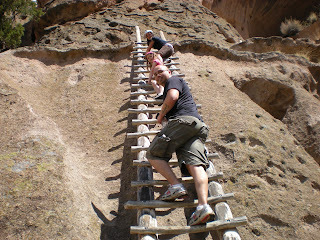 It was well worth the drive and everyone totally enjoyed the alcove house trail and ladders. It is free admission this week so we scored a bonus there. You can't beat free. I think we are pretty overloaded on the views now. Everywhere you look it feels like your eyes want to bug out of your head to see everything and take it all in. 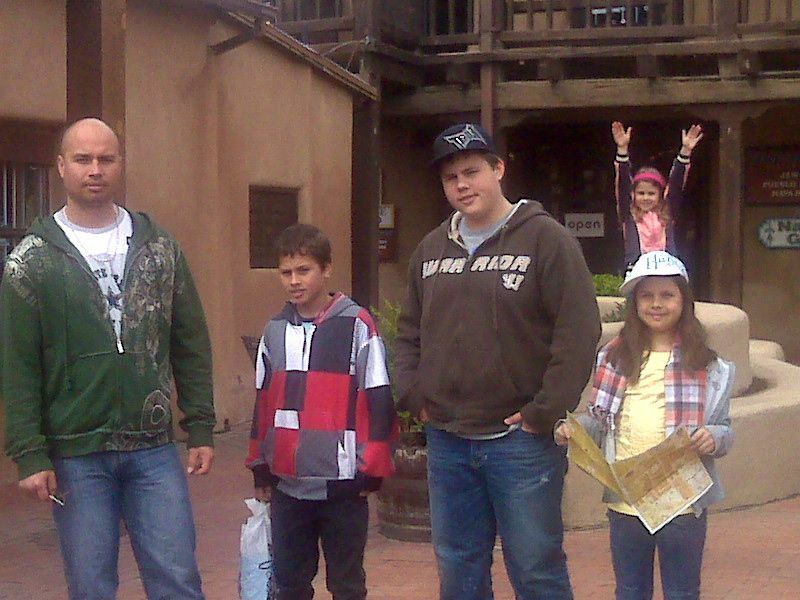 We stopped in Santa Fe on the way back to check out the outlet mall. Which was a bit of a let down especially since we were absolutely starving and there was not a crumb to be found. We finally got to the walmart supercentre which is fairly close to our hotel. It was great to eat something that wasn't fried in lard. We picked up some groceries and found something interesting things. All I can say is "only in america". While shaking my head. 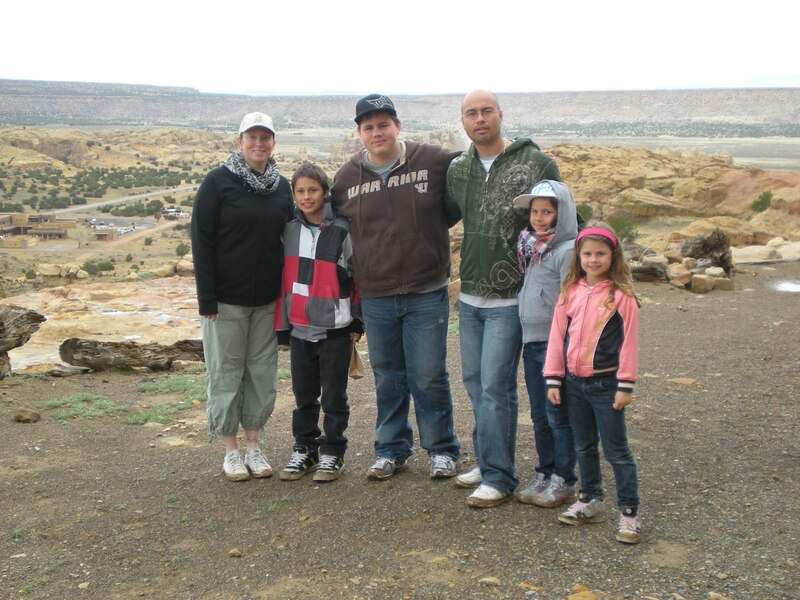 We are planning to check out the dinosaur museum tomorrow and the Pueblo cultural Center as well. We don't know if we'll ever get back this way again so we want to pack in all the fun we can possibly manage. I hope you are enjoying your week as much as I am. So the vacay continues...didn't do anything on the outfits today, I had better get at it tomorrow. Well...after we do fun stuff of course. Today, we checked out some pawn shops and old town, nuclear energy museum and then after lunch we headed out to Sky City. It was raining when we got there but still well worth the drive. Because of the bad weather there weren't many people there so our tour was almost empty, it felt like a private tour. The rain let up when we got up to the mesa so it was all good. So far this has been an awesome trip. The boys loved the museum which was cool. 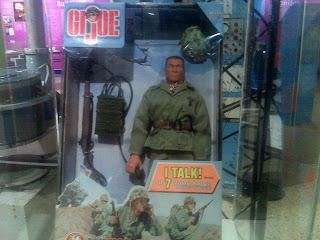 I saw a navajo codetalker GI Joe at the museum. 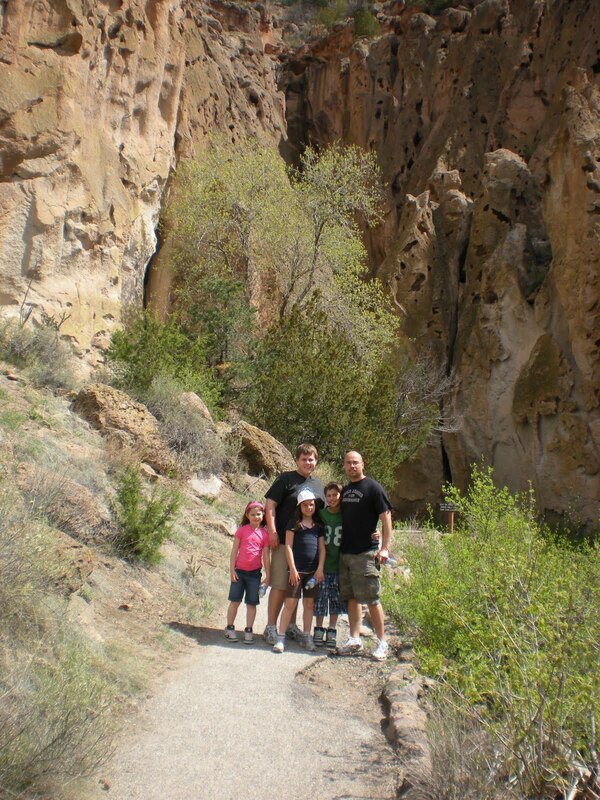 I think we're going hiking tomorrow which will make me happy. Woohoo, lovin this! After a looooong day of travelling we are finally in Albuquerque, NM. I don't think it would have been possible for the trip to have gone any more smoothly. Am I ever grateful for that. 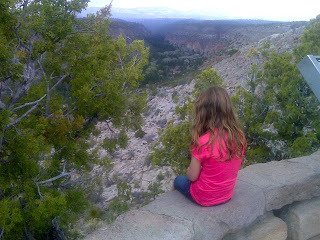 We even were able to get in a sight seeing trip to the Sandia Mountains and the tramway. It was incredibly beautiful even though the weather wasn't the best for pix. Everyone really enjoyed themselves. We are all just so excited to be here. I was able to get all my sewing done in time and now we just have a very few last minute things to do on the outfits over this week before the powwow this weekend. We have had a very exciting opportunity present itself to us for the day we return from the powwow. I will go into more detail when things are finalized but we are truly pumped about it. We are getting busier everyday and we look forward to every performance opportunity we get because it gives us a chance to learn and grow and also do something we truly love. I hope the weather back home is as beautiful as it is here. Well I'm off to bed we have a full day of sightseeing tomorrow, sky city, atomic museum woo hoo! Well the stress of our showcase performances is over. The show went well. I feel so bad for Shane because his computer went kaput and it's possible he lost A LOT of gigs of projects he was working on, including ours. Luckily we had a copy of the DVD we used for the Cedarland Showcase so we worked with that without the new edits and tweaks. I wasn't worried about us, we'd be fine but wow I truly hope he hasn't lost everything. He is a true artist and his computer is his medium so I hope he is able to get that back. I think of it like a museum burning down. sad. Thank you to all that came out and shared the evening with us, we are so happy to have had the chance to share our work with you. I am well on my way to getting everything done for our trip to Albuquerque. I have completed my shawl so now I will finish up my dress and get Jake some new aprons and cape as he has grown out of his stuff. In the end we went to Cornell. It was short and sweet, had a great time. I placed 3rd so I was pretty happy about that. Now the wait is on for the cheque. lol. They had some student performances throughout the day which were pretty cool. I liked these lion dancers. Sorry my camera is not all that clear I guess my lens is pretty dirty. My cousins and Aunt were able to come for a quick visit and we went for dinner after the contest. That made the whole day worth it for me. Wow it was a long drive. Okay my break from the sewing machine is officially over. I hope peeps are outside enjoying this beautiful day. We did a show with Lost Dancers last night at the Tim Horton's Onondaga Farm. There is a group of students from Santa Fe, New Mexico visiting with the students at Kawenni:io high school so we went out there to do some dancing with/for them. It was fun, had some food and got a chance to visit and dance around. Always good times. There was a young girl with the group who had her outfit with her so she danced with us. 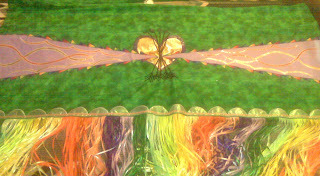 I recognized her shawl from pix I had seen on powwows.com. I LOVE that shawl and just had to tell her so I'm pretty sure she thinks I'm crazy but I can appreciate the work that goes into making a shawl and have to give props where they are due. Neither Derek or I had a chance to fix his belt since our show on Tuesday. So he danced smoke instead of fancy at the native dance show last night. On Tuesday at Cedarland he had a wardrobe malfunction and couldn't get his belt undone and had to rip the ties apart to get changed (he became THE MACHINE). I was able to get his moccasins all repaired in time for the show however so he didn't have to dance in his socks (just kidding). He has only had those moccasins for about a year but he has managed to blow a few holes in them already and had a few strands of beads missing which I was able to repair. One week left to prepare for our trip to the Gathering of Nations Powwow. I am so excited but I have so much to get done. We leave on the 17th so wish me luck in getting everything done. Things are really picking up for our show and powwow schedule for the summer so it will be busy busy. These are very exciting times for us. We are so blessed and grateful. The view from backstage at the cedarland show this morning. It went so well, I can relax now for a day then I will start stressing about our next showcase which will be April 15 at the Woodland Cultural Centre in Brantford ON. Please come out and see it if you can, it's free and there will be food. We talked about it and have decided to tweak it a bit more and we feel we are getting ever closer to a show that has great flow. It felt really good today. Jen & Adrian did a great job and we were so happy to have them along, they add so much to the show. Thanks to Shane as well for doing all the technical work behind the scenes as well as all the filming and editing he did for the multimedia portion of the show. 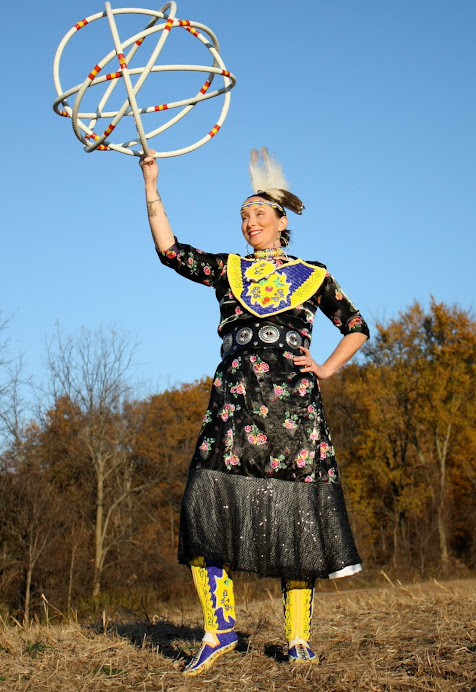 Our summer schedule is starting to fill in with our native dance shows so that is our incentive to get everything in order and running exactly how we want it to. The time to leave for the Gathering of Nations Powwow is coming up very quickly. I have to do a lot of work on our outfits so I hope to get all the sewing done at least before we go and I can finish up the beading while we are there. We are going down a week early to do all the touristy stuff before the powwow. Our dance group is working hard in cooperation with Grand River Rafting. We put together a short promotional video to demonstrate some of the dances, we will be doing on the shores of the Grand River. It has been a lot of hard work, but well worth it. 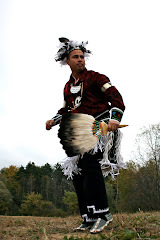 If you would like to check it out please go to www.grandriverrafting.ca we are in the sub heading that say scouts and schools, click on Iroquois group dancing.